Artificial Intelligence (AI) is expected to contribute US.7 trillion to the global economy. 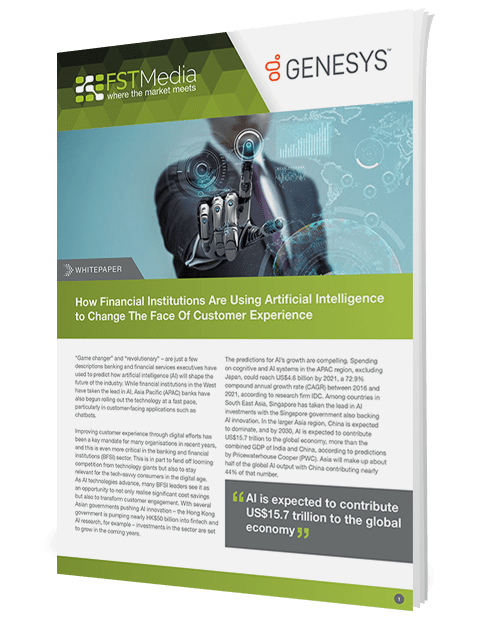 Improving customer experience through digital efforts has been a key mandate for many organizations in recent years, and this is even more critical in the banking and financial institutions (BFSI) sector. Asia Pacific banks and financial institutions have begun rolling out Artificial Intelligence technology at a fast pace, particularly in customer-facing applications such as chatbots.